Chemical peels rejuvenate your skin by removing damaged and blemished skin and allowing fresh, new skin to replace the old. Peter Newen, MD, at The Image Center offers medical-grade chemical peels that can deliver a brightening exfoliation or go deeper to treat wrinkles and sun damage. If you have questions about chemical peels or you’d like to schedule a consultation, call the office in Huntington Beach, California, or use the online booking tool. What skin conditions are treated with chemical peels? 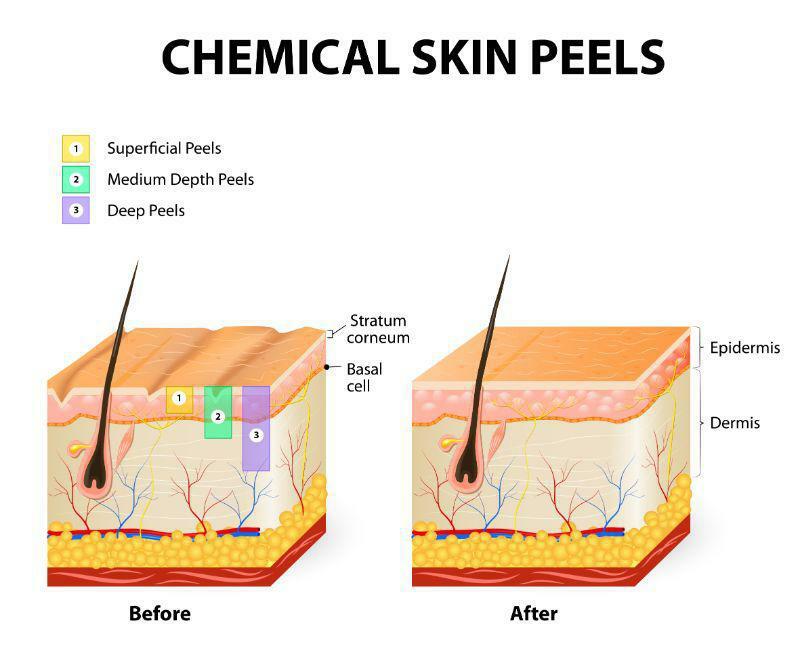 Chemical peels remove one or more layers of your skin. As the outer layers are removed, skin imperfections and problems disappear along with the skin. The new skin that grows is stronger and more resilient. The cosmetic problems that each kind of peel treats are determined by the depth of skin removed during your chemical peel. What are the three primary types of chemical peels? A light chemical peel exfoliates the outer layer of skin, which makes it gentle enough to use on a regular schedule to maintain your results. Light peels can eliminate dry skin and improve the appearance of blotchy skin. Medium peels go a little deeper to treat texture and skin tone problems, age spots, and moderate wrinkles. Since this treatment goes deeper, you may need up to a week of downtime. As you might expect, deep peels produce dramatic results. However, they also require about two weeks of downtime. A deep peel penetrates to the lower layer of your skin, where it produces all the results of a medium peel and more. A deep peel treats severe skin discolorations, sun damage, and deeper wrinkles. What chemical peels are available? The team at The Image Center offers several Obagi facial treatments that exfoliate and revitalize your appearance. For example, the Blue Peel treats blemishes, facial lines, scars, uneven pigmentation, and acne. SkinMedica produces numerous science-based skin-care peels and products. A TCA peel is a light-to-medium strength chemical peel used on your face, neck, and other areas exposed to the sun. To explore whether a chemical peel is the right treatment for you, call The Image Center or book a consultation online.